Full bodied and robust tobacco flavor with a slight hint of sweetness on the finish. The perfect tobacco flavor for those who favor the classic American tobacco blend (cowboy). This is a full bodied and robust tobacco flavor with a slight hint of sweetness on the finish. Our Classic Tobacco was carefully crafted to provide a bright and tasty vapor with a powerful but smooth throat hit. It will satisfy your craving for the classic American tobacco brands. 100% American-Made E-liquid. Have been vaping this for a few years now and it's great. Wouldn't try any other flavour. According to my wife, I'm hard to please, I like this juice (12mg) especially with a smidge of Apollos French Vanilla...tasty. Wasn't sure about just how to move on from V2 closing up shop, but took a chance with this EL from Apollo. The PG/VG ratio isn't quite as high on the PG side as the now defunct V2 Congress liquid, so not as much throat hit exactly, but now that I've spent a few days with it, the flavor is certainly growing on me. I'm vaping 12mg, which was the same strength I used as the Congress from V2. The hint of sweetness at the finish is very faint, but very good. I've been using the classic tobacco flavor liquid for years, and won't switch to anything else. Classic flavor, with a little sweetness at the end - mild, with a good throat hit. Love this mello tobacco flavor. Not harsh, just right. Sometines I mix in Apollo's French Vanilla. Yum! I smoked for 55 years. I like the tobacco flavor and Classic Tobacco is fabulous. Occassionally I will mix it with Apollo's French Vanilla. Yum! I always get some bottles in 12mg and 6mg and mix the two. For some reason it just tastes better to me than just having one or the other. Been doing this for years now and will continue to purchase from here. This is the best tobacco flavor I have ever tried. Has a bit of throat hit but still has a good smoothness to it. It helped me quit smoking! You should try it too. Great flavor and taste I will continue to buy this one. I have a few friends who I got this one for and they quit smoking just like me because of this flavor. It's like a honey tobacco. It really is great and I always recommend it to people who want to quit smoking. I am not too big on tobacco flavors but thought I would give it a try. I was pleasantly surprised. This was not that bad at all. I will try some more tobacco flavors in the future. This one has a bit of sweetness to it which is why I probably ended up liking it. The apollo classic tobacco is a good flavor. It really helped me quit and I've been cigarette free for 2 years now. I always order it in the bulk pack and buy 2 bulk packs. That way I do not have to order as often. It never burns out my coils and tastes really good and like a true tobacco flavor. That is why it was easy to quit! This one is best of the best as far as tobacco flavors go. I always vape this one and have been for years now. It has a real tobacco taste to it. And it has just a tiny tiny hint of sweetness throughout when vaping. But it is not overly sweet at all. It reminds me almost of a Marlboro red. If you're looking to quit smoking I would give this one a try to help you like it did me. This is the only one I buy. I have always loved it and usually get it in the 5 pack to save some money in the long run. This flavor is the one that helped me quit smoking. Ive tried all of Apollo's tobacco flavors but this one is my favorite because it still tastes like tobacco but with a super light sweetness to it. Highly recommend this one all the time. Tastes good still needs work. Perfect. Not sweet like so many are. I stopped smoking on this product 5 years ago and I continue to enjoy this flavor. I like that Apollo e liquid is made in a sterile environment not by some dumb kid in a back room. And the flavors are wonderful and new ones are being made monthly. The Zour brand is great for people that have allergies to PG as it is high in VG. 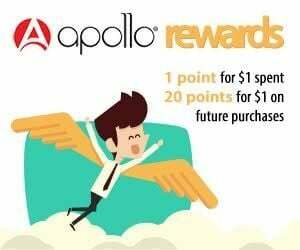 I have helped 10 people stop smoking with Apollo brands. Properly filled, sealed and made in America. Product always in stock. Good customer service. A real person to discuss issues with. The flavor was there and maybe I just got one that was a little too strong for me. I got the 12 mg but I have then stopped using anything with nicotine for well over 6 months. I was getting this as a gift for someone who is wanting to step away from conventional cigarettes and I of course had to try it. The flavor of a traditional cigarette though I believe is there in this juice. I believe finding the strength would be all that someone would have to do Apollo you have hit the nail on the head with this juice. Quality ingredients and made in California, so I know it's dependable. Great taste and vapor. This one is my fav. Great liquids. Far superior to other brands. Good price for good quality. Will buy again. I love this juice. I've been using it for some time. Good flavour and vapour. This is the best tobacco flavor ever! Order from Georgia since I moved away. It is a little too sweet but I have not found anything else that is better. The liquid can be hard to get out of the bottle. It is a good product as I only order this product! A bit too sweet and heavy for my taste. Very nice liquid. Apollo make the best 50/50 I've tried. Can get quite sweet if using a lot! I am using my Apollo Portal to give up smoking and i have to say that the classic tobacco gives a good throat hit and the feeling like you have had something to smoke. This was good but a bit sweet. Very smooth. I have been looking for a tobacco flavor that is more like tobacco and not as sweet. I just ordered two others and hopefully I will enjoy them more. I went to my local smoke shop and bought their tobacco flavor and enjoyed it more. Taste more like the mike and ikes hot tamales candy to me because it has the fruity/sugary element that is in the center of the hot tamale candy. Very very good vapor though. Have been trying a lot of sweet flavors as so far I have only liked tobacco flavors and this is by far the best candy/sweet vapor I have tried so far. Granted its only been a month since I quit smoking analogs but I think this stuff is great. I am going to let the rest of what I have steep for a few weeks and try it again but I am sure I will be ordering a larger bottle in the future. The E-Liquid is good, but the new cheap bottles stink. Go back to the old bottles and I'll give 5 stars instead of 4. This was my first exposure to a real e-cig. (I had tried one from the drug store but that doesnt count as it almost discouraged me from all e-cigs) But this, this was wonderful. The classic tobacco flavor is perfect to me. I have since tried many other flavors but I keep coming back to classic tobacco from Apollo as it is my fav! Thanks Apollo you are a life saver! And that is no joke. Very strong flavor, but not off putting at all. Reminds me of a "Clove" or "Top end" smooth but lightly spicy tobacco with a mild or medium throat hit. Large vapors with minimal puff. Very nice for those going from high end flavored tobaccos, or for those who like top shelf flavored juices. The amount of vapor with very little effort amazed me! I have never tried e liquids before so this was my first attempt. Easy to dispense once I figured out what to do. It lost a star on lack of instructions and on the flavor. It doesn't taste like a tobacco cigarette to me at all, it has a strange sweet flavor. Apollo is my favorite ecig so I am willing to try a different e-liquid flavor just based off of the impressive vapor produced with out much effort, but I hope they improve on or produce other "tobacco" flavors that taste closer to their pre-filled ones. I bought the 18mg. I quit smoking with Apollo kits and Classic Tobacco E-Liquid. I really like the sweetness and light tobacco taste. I don't really need any other flavors, Classic Tobacco does it for me.